For those who love the extreme! 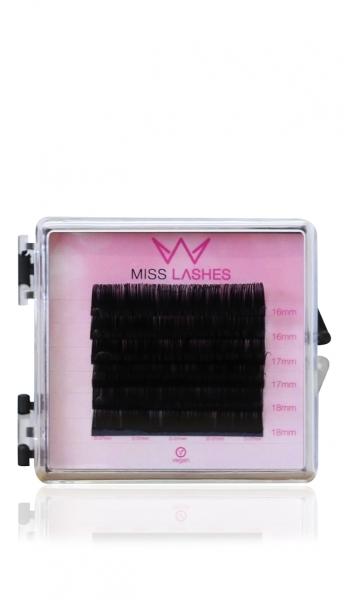 Our mixboxes in 0.05 & 0.07 thickness are filled with overlengths that can be used exclusively! The eyelashes are made of the same material as our Premium Matt Lashes and therefore contain very less silicone, which makes them durable.